We appreciate that surrendering your pug is a very difficult decision, and we are here to help in any way we can. 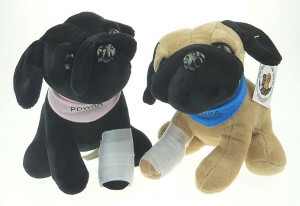 The Pug Dog Welfare & Rescue Association is a Registered Charity (No. 276067) and has been operating since 1973. We always endeavour to place rescue pugs in a home that suits their particular needs, and where possible with owners with previous experience of the pug breed. All cases of rescue and rehoming are dealt with in confidence and without judgment. On the map below, you will see that we have divided the United Kingdom into 10 Areas. If you wish to surrender your pug, please look carefully at the map, and follow the instructions given below. Please note that these telephone numbers are only to be used to enquire about surrendering pugs. All incoming calls will be answered as soon as possible. However, on occasions it may be necessary for you to leave a message; we will do our best to reply within 24 hours. Alternatively, please email rescue@nullpugwelfare-rescue.org.uk and your enquiry will be forwarded to the relevant Area.